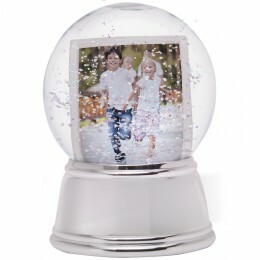 One of our most popular photo snow globes! Perfect for any occasion, all year round. 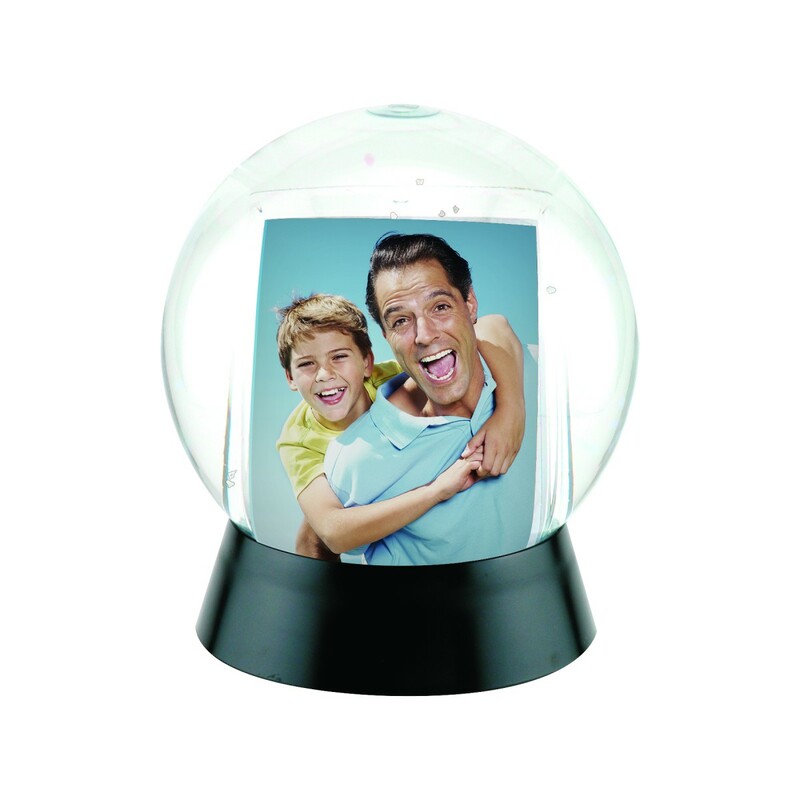 Overall size: 4-1/4" x 4-3/4"
Soft, pliable plastic surface, this is NOT glass so it's kid friendly! What's the cost to have the base imprinted? There is currently a $30 setup fee plus $0.25 per a piece imprint charge. 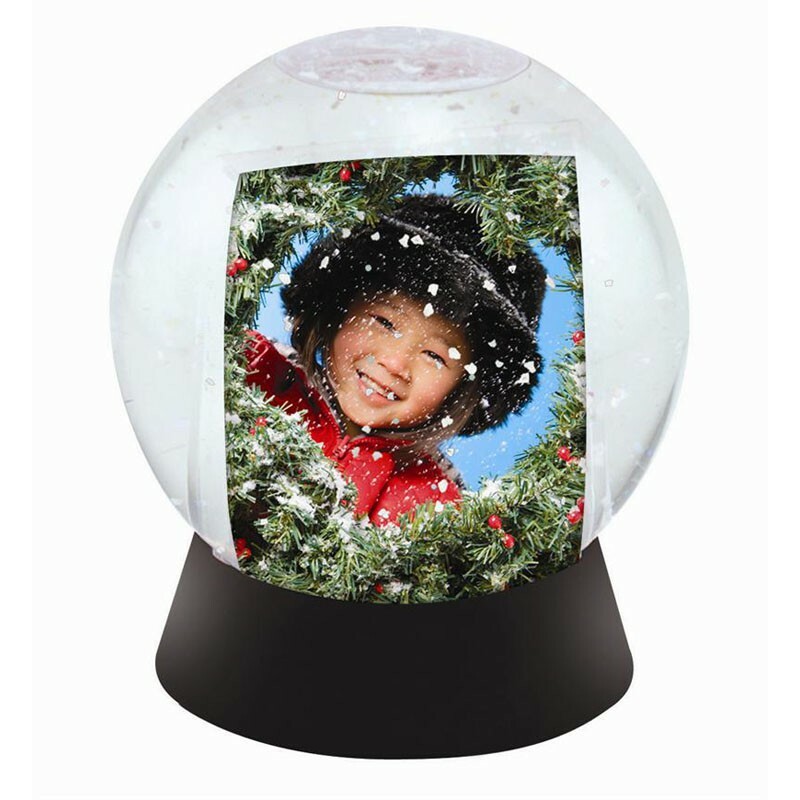 If you would like the same design inserted in all of the photo snow globes, we can do that is well for an additional charge. Please call customer service at 1-800-621-5584 for any more questions about imprinting. Will a 2x3 picture fit? Yes, but the bottom 1/8" of the photo will not be visible. 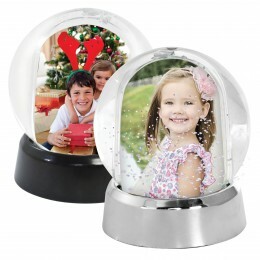 Do these snow globes have snow in them? Or just water? 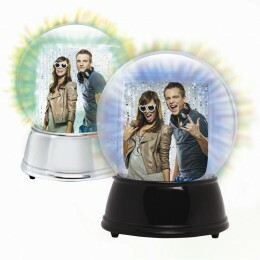 The photo snow globes come filled with water and snow. There is a small plug on the bottom if you would like to add more water. How long doe shipping usually take and how much will shipping cost? Most orders ship within 24 hours. We ship via UPS. Shipping costs are based on your location and the weight of the item. For specific costs please call us. How tall is the snow globe? 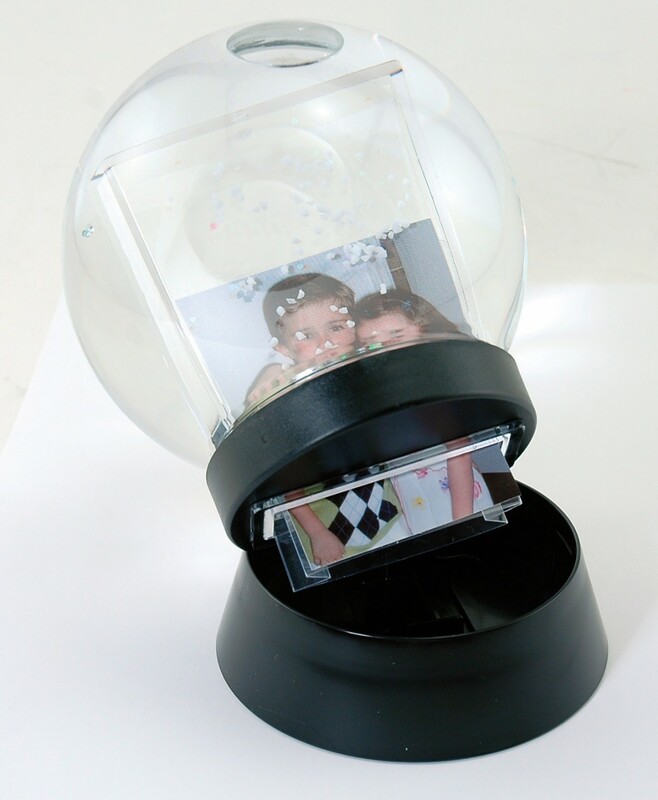 The snow globe, including the black base is 4-3/4" tall. I cant figure out how to take the bottom off. It seems stuck. Do you twist it off or do you pull the globe away from the base? 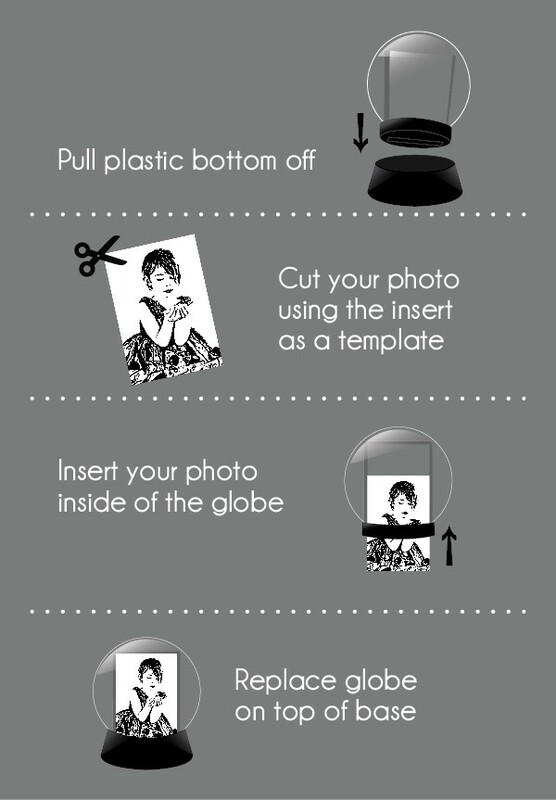 To remove the black base and insert your photo, we recommend: put one hand on the globe portion and one hand on the black base. Wiggle and pull the black base until it loosens and comes apart. If it still doesn't work you may have one that was sealed too tightly and we can send you a replacement. Do these globes ship with the water already inside them? Is there any way to ship without the water to decrease the shipping weight? Yes, these items ship with water already inside of the globe. We do not offer services to remove the water before shipping due to the labor involved. And we do not recommend removing the water from the globe because you would need a small syringe in order to refill each one through the tiny hole which would be very time consuming.